Believe it or not, stress is helpful, to a point. It causes our bodies to produce adrenaline and increase heart rate and sensitivity to surroundings, helping our bodies to respond to unexpected situations rapidly. For example, when there is danger, such as a fire or burglar, the adrenaline level rises to pump more blood in our body so we can fight or run. Another stress hormone called cortisol is also produced which increases the level of blood sugar, thus providing more energy for the reaction. However, chronic stress is related to many unhealthy symptoms, including high blood pressure, migraines, digestive problems, pregnancy complications, and even stroke. According to many research studies, the blood sugar increase caused by cortisol has also been found to lower the efficiency of our bodies’ immune systems, and can result in even more problems for people with diabetes. In the most extreme cases, panic attacks, periods of a debilitating sense of extreme distress or fear, can occur. There are many different forms of complimentary therapy available to help combat the problem of stress and one of the most popular, and indeed tried and tested methods, is acupuncture. Acupuncture is a well-established form of traditional Chinese medicine that has been practiced for thousands of years. It requires the insertion of ultra-fine needles to be placed at various acu-points on the skin. 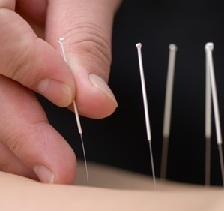 It is believed that acupuncture can block pain receptors and stimulate the nervous system. From a Western viewpoint, acupuncture works to alleviate stress by releasing natural pain-killing chemicals in the brain, called endorphins. In addition, acupuncture improves circulation of blood throughout the body, which oxygenates the tissues and cycles out cortisol and other waste chemicals. The calming nature of acupuncture also decreases heart rate, lowers blood pressure and relaxes the muscles. Also, during the process of having acupuncture treatment, the sufferer is encouraged to take time out to relax and be at one with their body and mind, something that a lot of stress sufferers find difficult to do. So not only does acupuncture act as an alternative medicine it can also act as an alternative means of relaxation. As acupuncture helps the mind relax, the body returns to a more balanced state. This can improve the functioning of your organ systems, and in turn help you to manage stress more effectively. Digestion is one system of the body that is easily disturbed by stress leading to common stress reactions of IBS, vomiting, and diarrhea. By supporting the digestive system, the entire body becomes stronger and better able to handle the next stressful situation. Acupuncture is a natural and healthier way to manage your stress than pharmaceutical medications. If you have been taking sleeping medications, anti-depressants, or tranquilizers, acupuncture can help you decrease or eliminate the need for these medications, under your doctor’s supervision. Research indicates that massage helps reduce stress, anxiety and depression. Massage causes the body to release many therapeutic mood and health enhancing chemicals. It increases dopamine and serotonin and reduces the stress hormones cortisol and adrenaline. It increases the relaxation alpha brain waves and also increases pain-relieving levels of endorphins. Massage also lowers noradrenaline and lowers the stress hormone ACTH (Adrenocorticotrophic hormone). Stress treatments may combine Acupuncture with Chinese Herbal Medicine, depending on the needs of the patient. 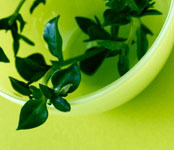 Chinese Herbal Medicine includes the use of a large variety of herbs combined into formulations to help calm your mind. These prescriptions are taken on a daily basis between acupuncture visits to enhance the effects of the treatment.